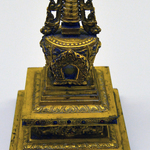 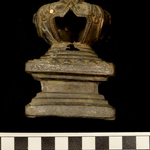 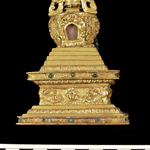 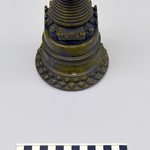 Reliquary in shape of chorten (stupa). 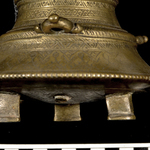 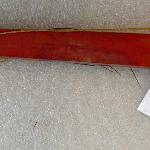 Brass with copper bottom. 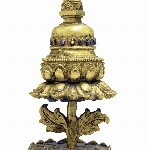 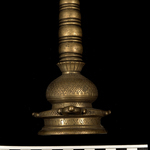 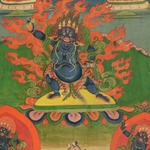 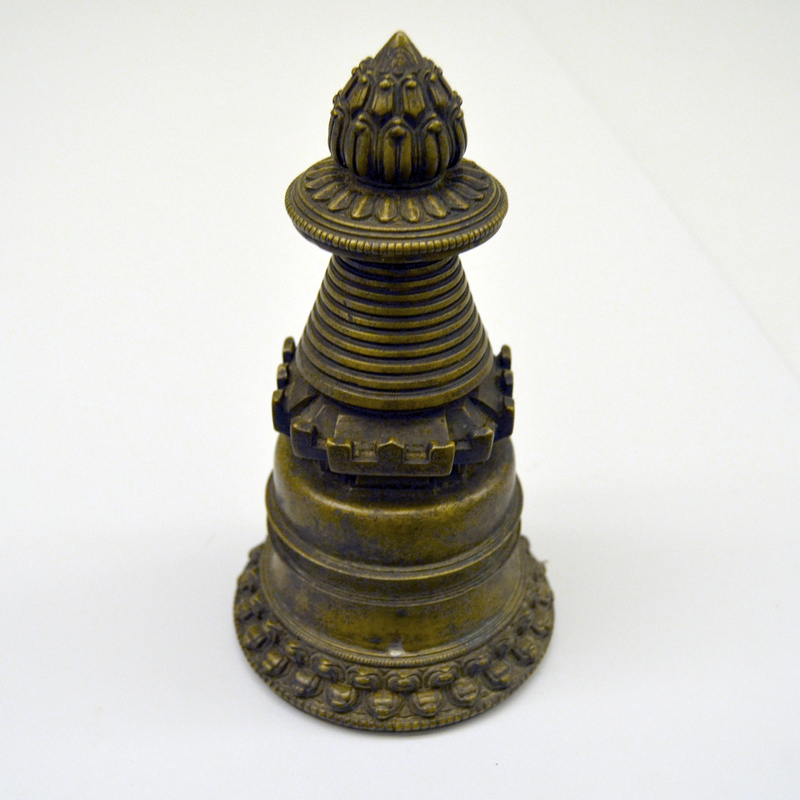 This type is the Kadampa style which features a parasol top and thirteen discs atop a bell shaped bottom on a double lotus base.